Installation and configuration of operating system under Windows among of windows 95, 98, 2000 Server, XP, and Vista. Installation and configuration of operating system under Linux among of Knoppix, Mandriva, Ubuntu, and Redhat. Installation of VoIP software application and setup. Assembling and setup of personal computer (PC). Setting and configuration of Wireless Access Point (WAP) and Wireless Router (WRT) indoor and outdoor. Setting webcam, scanner, and printer for LAN. Pengantar Jaringan Komputer (Introduction of Computer Network). Sistem Operasi and Network (Operating System and Network).
) Pekanbaru Indonesian from 1996 to1999 year. Work as lecturer freelance for Diploma I program at VEC Computer College Pekanbaru Indonesian from1996 to1999 year. 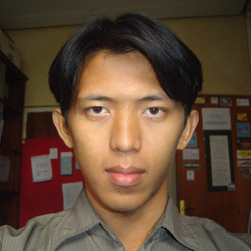 Work as lecturer for Diploma I program Al-Azhar Computer College at Pekanbaru Indonesian from 2000 to 2001 year. Work as lecturer for Diploma I program LAMI Computer College in 2001 year. Work as lecturer for Diploma I and Diploma III (Bachelor degree) program at AMIK(Akademi Manajemen Informatika dan Komputer) of Riau from 2001 to 2004. Work as lecturer for Diploma I, Diploma III (Bachelor Degree) and Strata I (Sarjana) program at Kopertis Wil X Padang DPK STMIK (Sekolah Tinggi Manajemen Informatika dan Komputer) Indonesia Padang from 2005 until now. Enhancing Security of Authentication Scheme in Session Initiation Protocol (SIP) For Voice Over Internet Protocol (Voip) Application. From 2008-until now.